Earn £28 worth of loyalty points when you buy this item. 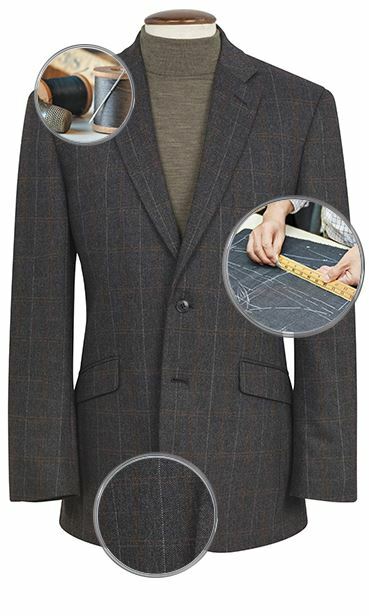 Another classic blazer that is constructed from a mid-weight, pure new wool fabric. Perfectly practical - Ideal for any occasion. ALL EXCELLENT, CANNOT SAY MORE. TOP QUALITY ITEMS AND FAST SERVICE. RETURNS SIMPLE TO USE. excellent value for money. Great service. Very high quality clothes at competitive prices. I am really pleased with the service and goods supplied. Ordering and delivery process prompt and efficient. Goods represent excellent value and quality. Excellent service. I had to return a jacket because it was too large. Whilst the literature says 10-14 days they received and sent the new jacket on the same day. Quality appears good for the price paid. Would fully recommend them. Nice material, beautiful fit, prompt delivery - all I could ask for! Have recently purchased a blazer, a casual jacket and three pairs of trousers. All of these are very good quality and are excellent value. The service is excellent and with the offer of free returns you couldn't ask for anything else!. Excellent materials used. Quality and fit guarantees with all purchases. I have bought 2 blazers from BT and am pleased with both. Delivery was within a couple of days even when using free delivery. Efficient and easy to deal with on delivery / returns. Two very good quality blazers at the same value that I would have bought in a shop sale without the need to go to the store and buy more than I wanted! Polite. Efficient. On time. could not ask for better. Well done. Very good company to work with, the delivery was spot on the forcasted time. 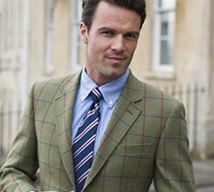 When I need more clothes in the future, I will certainly buy from Brook Travener.. A very excellent company providing excellent service and good high quality clothes. First class product and service. Thank you. Purchased Oxford blazer first and was extremely pleased with it decided to purchase another. Out of stock at the time but staff were very helpful and advised of order progress. Item arrived well in advance of anticipated delivery date. Thank you all. I bought a single breasted blazer and found the fit and quality outstanding. 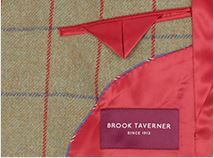 Over the years I've bought several items from Brook Taverner and I have never been disappointed, would highly recommend. Sent for a man's blazer. Customer service was second to none, would recommend without hesitation. Quality excellent, cut and finish superb. Had to return for a smaller size, no hesitation in replacing it and the replacement was a perfect fit. Well done Brook Taverner. Rare to get such a quality product AND quality service these days, especially at a reasonable price. Fantastic jacket customer service even better. Excellent packaging no creases and exactly what he needed. Good value and speedy action. Thank you. I chose a blazer and received it very speedily and at a very good price. My Trousers fitted like a glove, which is a shame!!! 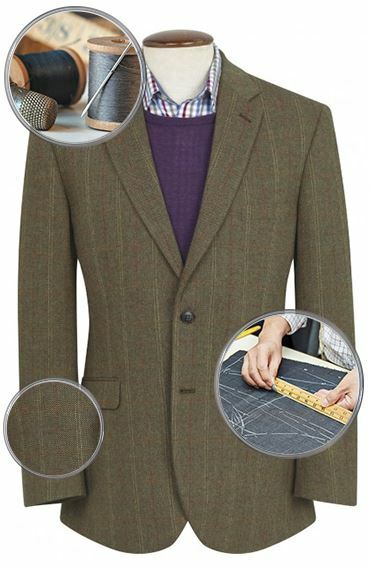 A great experience, I have bought a Blazer and a pair of Trousers both are great quality items that come at a premium but worth it. The website was easy to navigate, the opportunities to review the different fabrics was great and it was really helpful to be able to shop by size so that you don't get to the point of selecting and then finding that your size isn't in stock. I shopped on Thursday night and paid for a Saturday delivery and was delighted with my purchase when it arrived early Saturday morning. It was a really good hassle-free service and wonderful jackets to boot! The quality of the blazer in terms of style and material/finish are top notch. Is this a barathea weave? 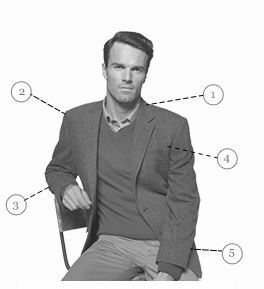 The cloth of the Oxford Blazer is not a Barathea Weave. If you would like to receive a swatch of fabric, please contact us on : customerservices@brooktaverner.co.uk, and we can arrange to post one out for you. Sent for a man's blazer. Customer service was second to none, would recommend without hesitation. Quality excellent, cut and finish superb. Had to return for a smaller size, no hesitation in replacing it and the replacement was a perfect fit. Well done Brook Taverner. Rare to get such a quality product AND quality service these days, especially at a reasonable price. We brought a navy blazer for Rog and fits fits perfectly, so measurements are accurate It came with 36 hours of ordering on a Sunday evening, Excellent packaging no creases and exactly what he needed.